There is no doubt that the garage door is the largest, and possibly most used, door on your home. With all the wear and tear garage doors experience, it is important to have one that is durable and energy-efficient so your family can enjoy it for years to come. Our garage doors come with many options to choose from so you can create the perfect door that will offer you great functionality and look beautiful at the same time. Quad Cities homeowners are no strangers to rough winter conditions and hot summer temperatures. That’s why Feldco garage doors are made with homeowners in mind. From different levels of insulation to wind-resistant features, Feldco offers a durable garage door that can withstand any weather extreme. 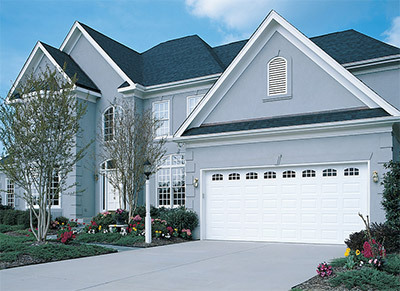 Update your garage door to get not only a beautiful new door on your home, but one that can protect your home as well. While it’s important that your garage door is durable and performs well, it doesn’t hurt if it looks good as well. 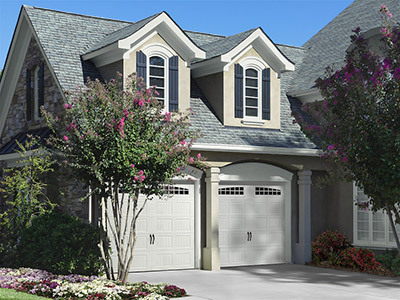 We carry two different styles of garage doors that can be customized to suit any home. Whether you have a single or double garage, you can find the perfect garage door at Feldco that you’ll enjoy for years to come. Our standard garage doors are anything but standard. Made with heavy gauge steel designed for great durability and energy efficiency, you can choose between a variety of panel design and glass inserts to customize your perfect garage door. Interested in a more tradtional looking door without compromising energy efficiency? Our carriage garage doors are for you. They combine the beauty of wood grain finishes along with the strength of heavy gauge steel to create a perfect fit for your home. Customizable with many different color and design options, you’ll no doubt love your new carriage garage door. It may not be obvious that your garage door can help you save on your energy biils. Any garage attached to a home will affect the amount of energy you use within your home. If you have a poorly insulated garage door, you can be sure that cold air is coming in during the winter and hot air is entering during the summer months. As a result, your home is harder to heat or cool and your bills go through the roof. Replacing your old garage door with a brand new, energy-efficient one will allievate all of those problems. A properly installed garage door will not only save you from losing on your bills, but it will make your home more comfortable year round! 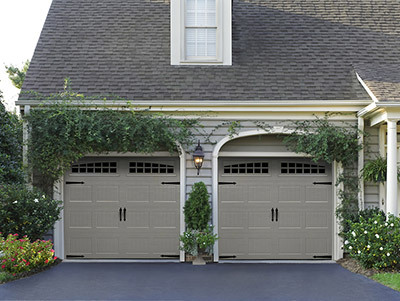 Feldco is the perfect choice for Quad Cities homeowners looking to replace their garage doors. With two varying styles and a variety of color and design options, you are sure to find a door that will be perfect for you and your home. Once your door is chosen, it doesn’t stop there. Leave it to our professional technicians and team of installers to properly install your brand new garage door. All you have to do is sit back, relax and enjoy a beautiful new door that performs with top notch functionality. Replacing your garage door has never been easier.